After being asked many times to give the recipe of this cake, it took me a while..sorry about that! but rather late than never…. This recipe was for 2 circle forms of 18cm. It might look complicated but it is not. I would be really happy to see your creations after making it. Cheers! Place the ingredients in a KA bowl and mix for 10 minutes. Add them to the previous mixture. 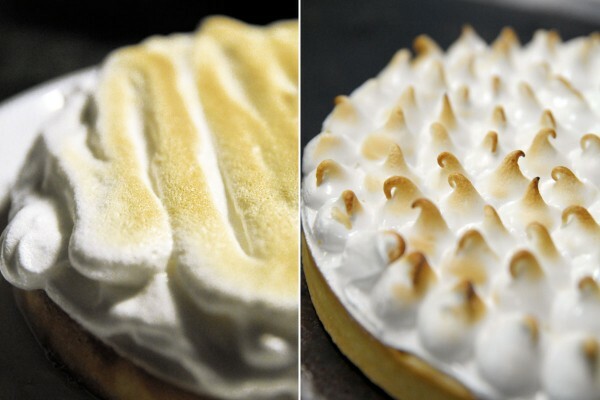 Make a meringue and add to the rest of the mix. Place the ingredients in a pan and cook until 40c°. Add to the fruit puree at 40c° and cook to boil for 1 minute. Then place in a bowl, film to the surface and let cool in the fridge. 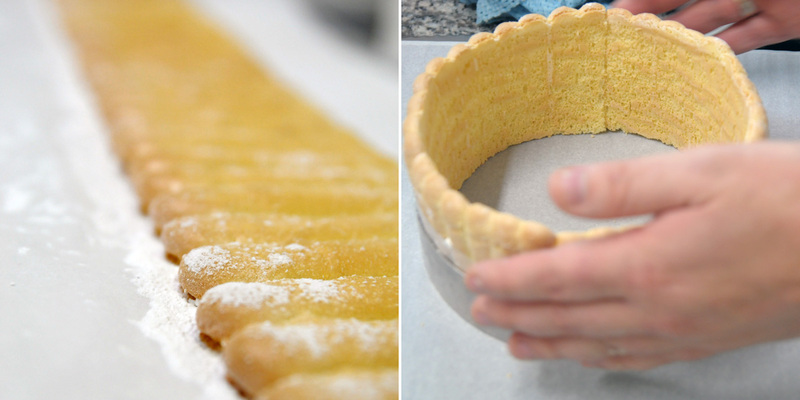 When cooled, spread the marmelade on the madeleine cake and place in the freezer. Mix together, add a 1/3 from the lemon juice and again the whole egg lemon mix to the lemon juice in the pan, bring to a boil while mixing with a whip. Set aside. Place the gelatin to soften in the water. Add to the lemon cream. 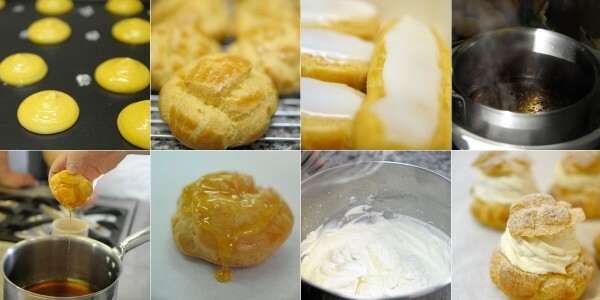 Cut in pieces and add to the lemon cream and blend with a hand mixer. Pour in a dish. Set aside and allow to cool. With a cling film put the dish in the fridge. It will be thick. Place in KA and mix with flat beater in order to “relax” the cream. Hydrate the gelatin with water. Once soft, let it melt in a pan, take a bit of the lemon cream and mix with gelatin then pour the whole mix into the lemon cream and mix. 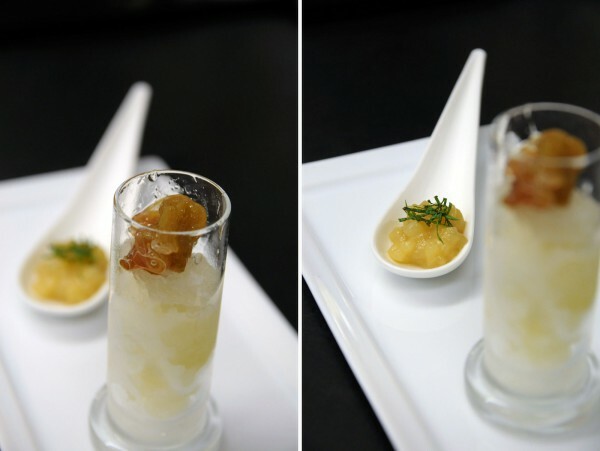 Make sure that the T° of the lemon cream and gelatin isn’t too cold once you add it back to the lemon cream in the KA. If it did not dissolve well, place the KA on water bath and keep mixing until it’s homogeneous. Add the whipped cream to the lemon cream, with a whip and then a spatula. 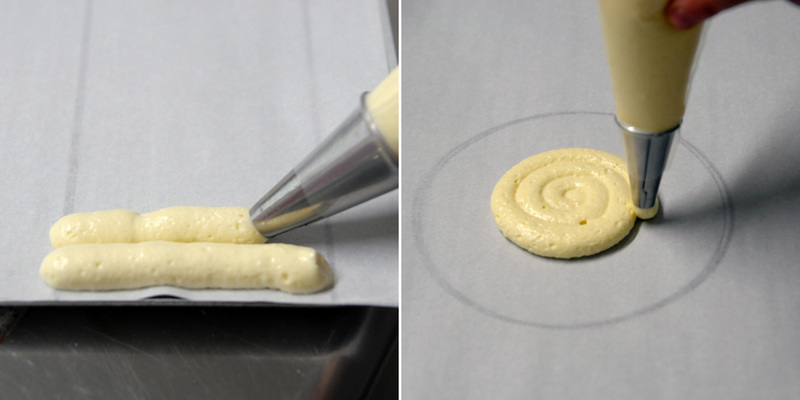 Put the mousse in a piping bag and nozzle. Place a rhodoid sheet or baking baker inside the form. You can stick it with water on the inside of the form or fat spray. Cut the madeleine cake with the form or knife, place it at the bottom of the form. Then pipe some of the lemon cream. Then pipe the lemon cream etc..
We had 3 layers of madeleine cake and cream. Freeze. 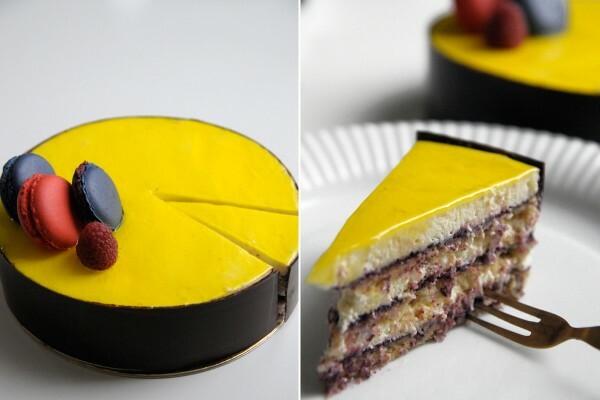 I topped the cream with some glaze from Valrhona and some yellow colour. Just warm it up in a pan, I usually add a bit of water. We surrounded the cake with a chocolate sheet, but you can cover the sides of the cake with some mousse left over, freeze it and just glaze the whole cake. In January 2015 I joined the Kofler&Kompanie Team in Berlin, which is one of the biggest caterer in Germany. I am in charge of the pastry. I wanted to try catering, a world which I did not know, to enrich my experience and train to prepare desserts on a large scale. It is a great experience, full of challenges and exciting places to discover the city. 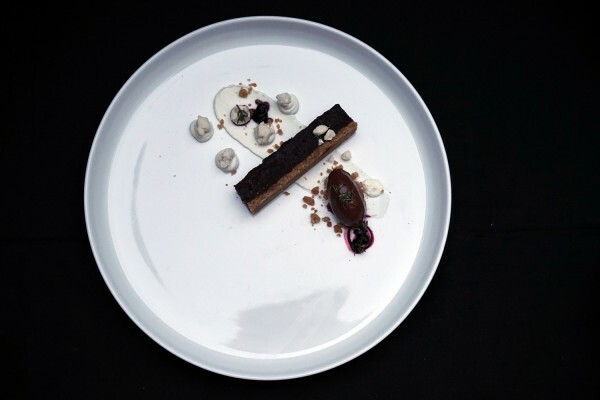 I find plating fascinating as well as difficult. 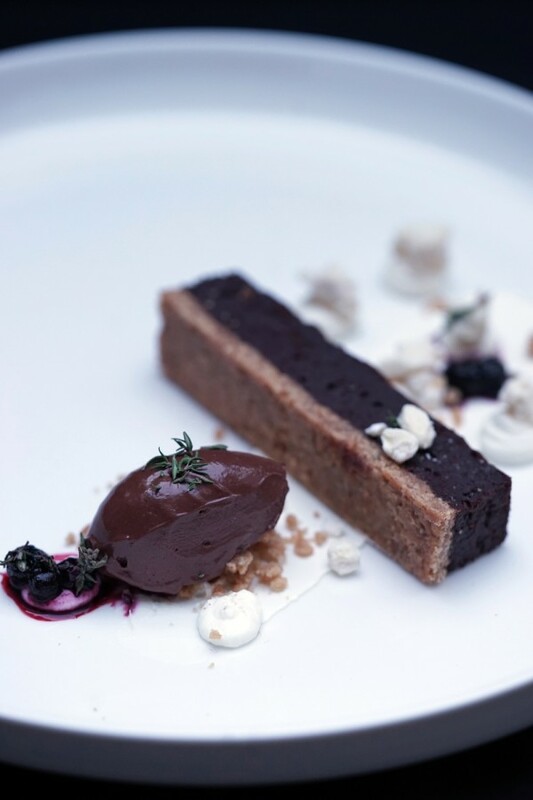 I get my inspiration from the countless talented Pastry Chefs who are out there. It is exciting to see what’s happening in different places in the world. One of my daily inspiration, I get on http://www.chefstalk.com/, which is an online platform for chefs. The dessert today is the chocolate cake my family loves and asks me to make when I go home. It’s easy and quick to make. So enjoy! Pre-heat the oven on 170c°. Put the butter cookies in a blender and blend until they become a crumble texture. In a kitchen aid, put the crushed cookies, add the melted butter, the egg white, vanilla and salt. Mix until homogeneous. Butter the tin form. 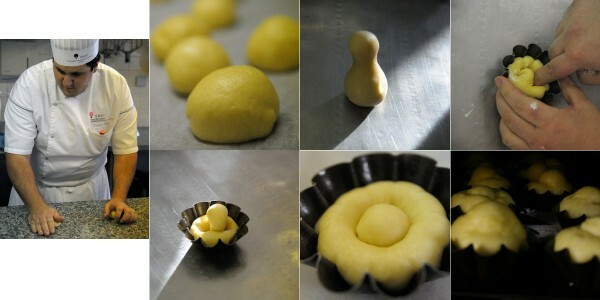 Place the dough in the form and flatten it to form a flat surface. You can use your hands, I do it with a spoon in a glass of water, it helps get a more even surface. You’ll have some dough left. I baked it and used it as a crumble for the plating. Place the chocolate and the butter in a metal bowl and allow to melt on a water bath. Once melted, beat the eggs and the sugar. Add the mixture to the chocolate, then the crème fraîche. Mix. Pour the mix onto the crust. It should still be wobbly when coming out of the oven. Let to set. 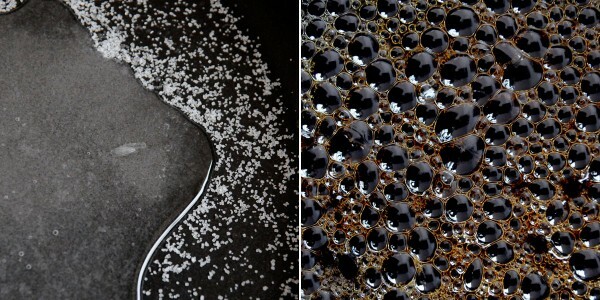 Serving: sprinkle some cacao powder with a sieve. Sour cream with powder sugar and vanilla for the spread and the dots. 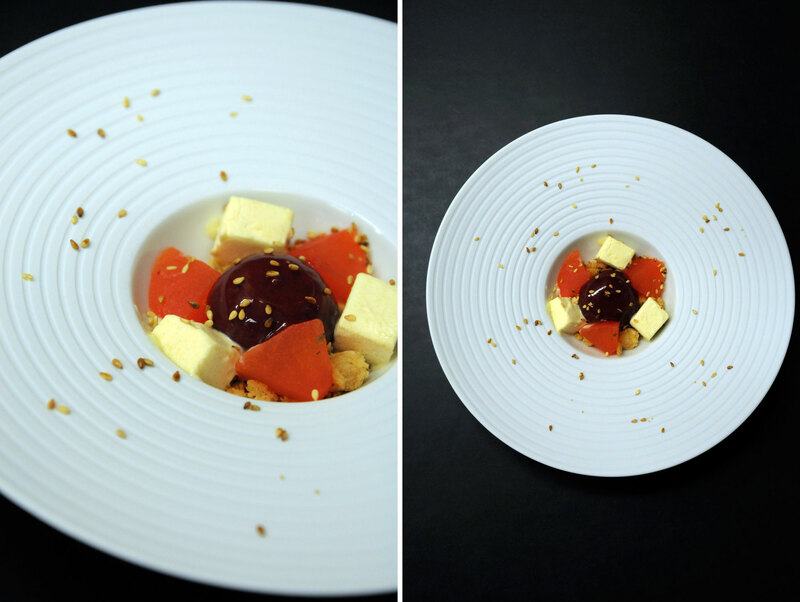 Melt 50g of white chocolate with 10g of cacao butter and mix 30g (+/-) of puffed rice . Mix until the rice and the chocolate are well combined. Pour onto a tray covered with baking paper and let cool. To be honest with you, I don’t have an ice cream machine at home. I make it at work. 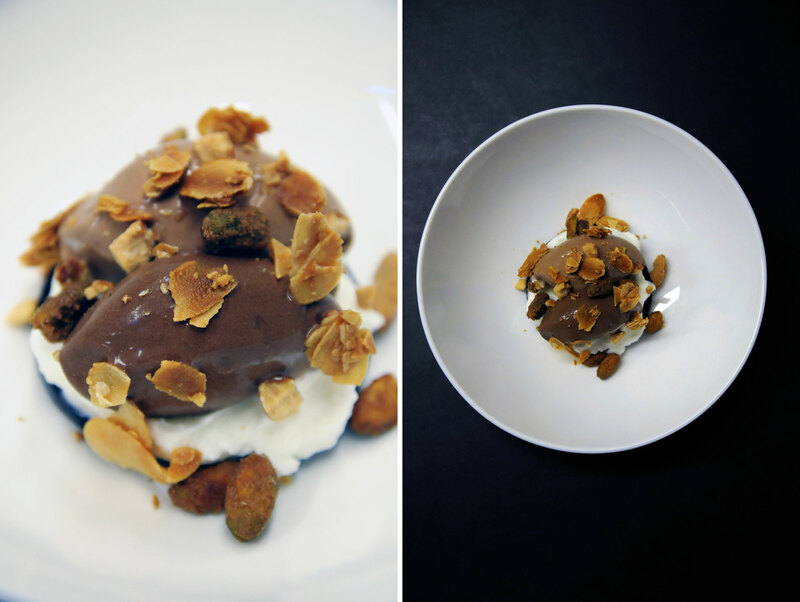 If anybody has a chocolate ice cream recipe for a machine, I’m more than happy to share it here. Milk, cardamon and cream in a saucepan. Bring to a boil. Let set for 15 min. Add the milk powder and the sugar then the glucose. Then bring again to a boil. 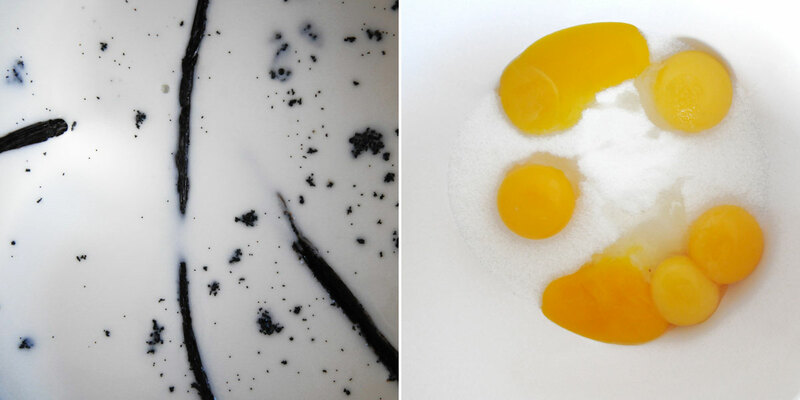 Sugar, stabilizer and egg yolk: whisk. When the milk and cream have boiled, add a third to the egg yolk, mix well, then place back in the pan. 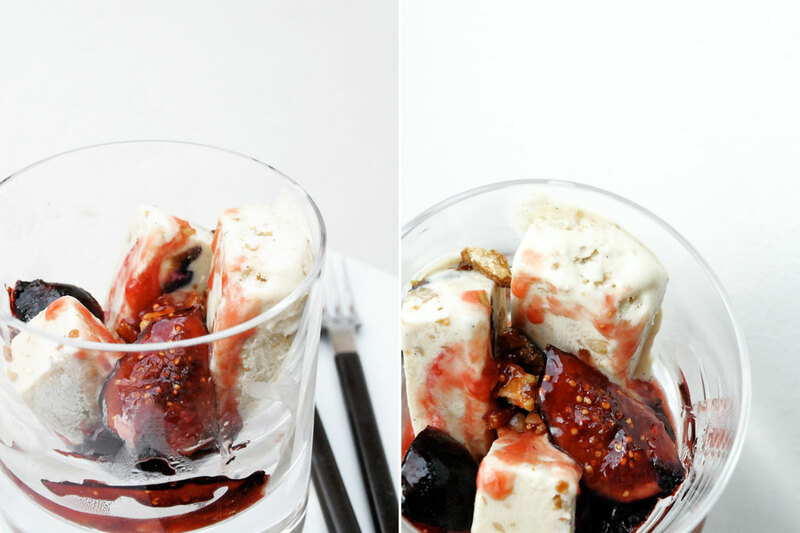 Make an anglaise (83c°). When it has reached the T°, take the pan away from the heat and carry on whisking. Place a sieve above the chocolate bowl and pour the anglaise onto the chocolate. Pour the mixture in a paco jet bowl and let freeze overnight. Process in the paco jet an hour before serving. Let the blueberries slowly thaw on a water bath, covered with a plastic film. Sieve the fruits and place the juice in a pan with the rest of the ingredients. 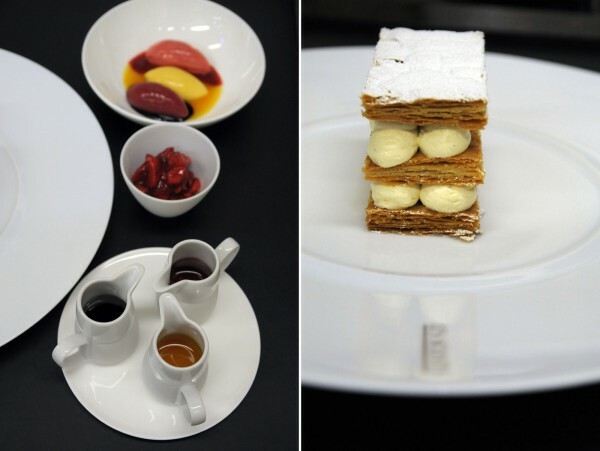 Before I left, Chef Pelloie was working on new desserts for the restaurant. It was a real pleasure taking part in the creation process. I got to try a lot of the recipes. 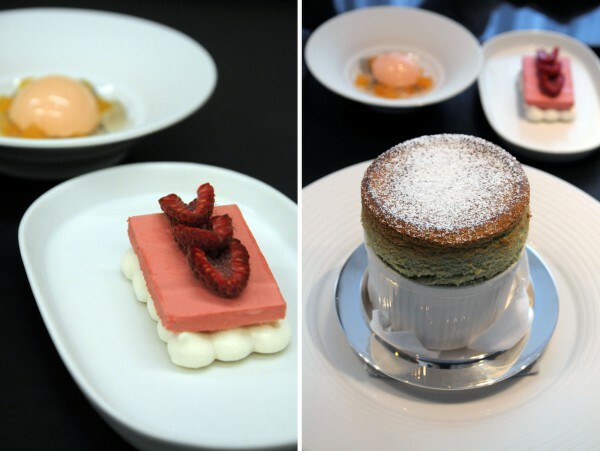 The pistachio soufflé especially……there is just so much one can eat, even for the job!! 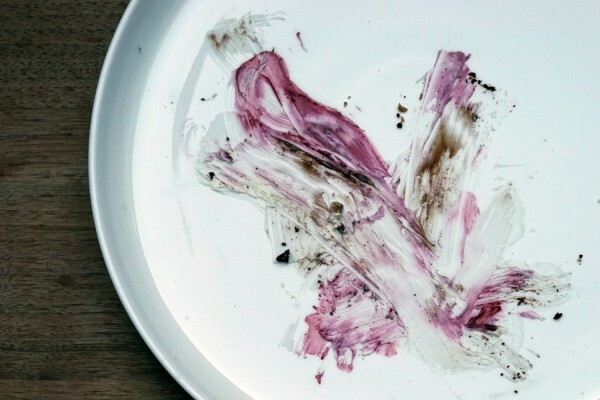 I love the plating, the colors and tastes combination. Preparing theses desserts was simply great and inspiring! I’ve decided to go back to restaurant business after trying out a smaller and nice structure at “Minoofi”. I’ll be starting at the Môle Passédat at the Mucem next week. For me, a larger structure allows to work on many different styles of pastries, from café pastry to dessert on the plate. I think it is a very good way to learn a lot, like at the Waldorf Astoria. I am very fortunate and grateful for the opportunities I have here. 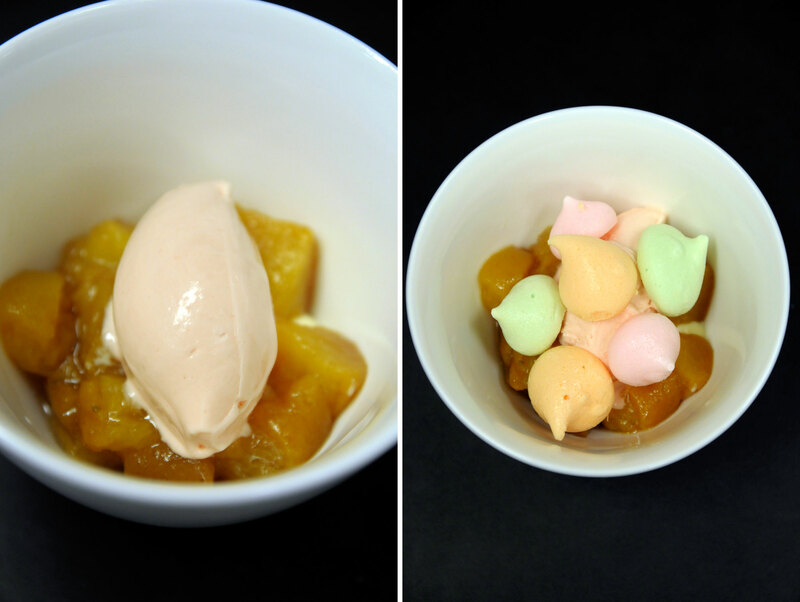 Here are some of the latest delicacies we made in the last few months. I will add more photos and recipes in the coming posts. The exam CAP is 2 months away and some of us are already looking for work. 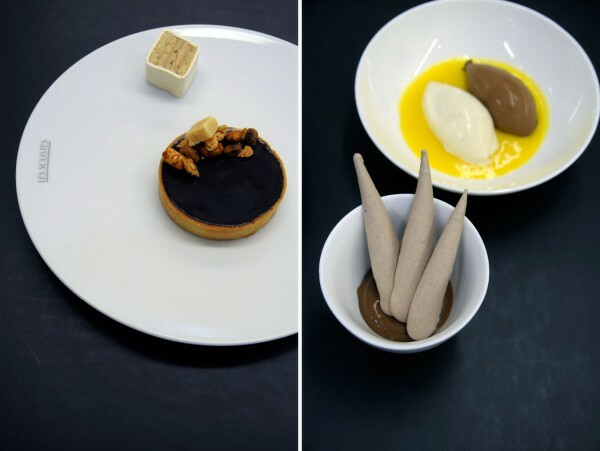 This is an exciting but also scary time, for we know it is not easy to set foot in a Pâtisserie. I am doing my internship in a Pâtisserie in the area. We’re lucky to have a MOF (best craftsman of France) 20 kms away, Bruno Montcoudiol. I applied there before even leaving Berlin, I love his work, his cakes are deliciously fine and gorgeous. I am lucky I can work in his team, it’s friendly, it’s clean (not like some stories I hear from some of my girl friends) and well organised. I broke my lens last week, but hopefully I’ll get to take some photos later this month. 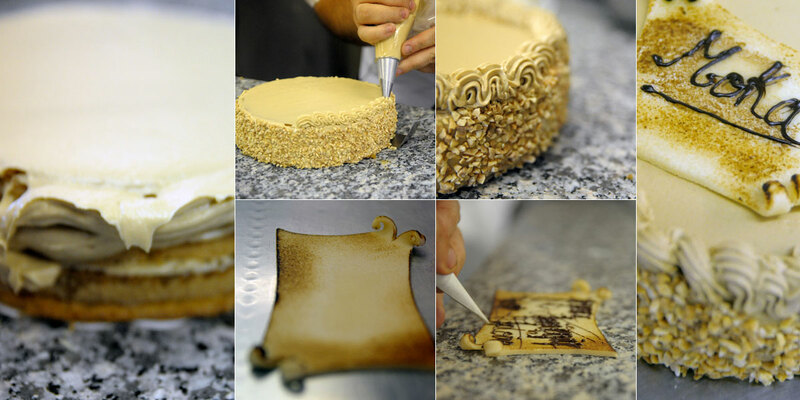 some pictures of these cakes and, because the Charlotte is easier to make at home and requires less material, I will give you its recipe below. 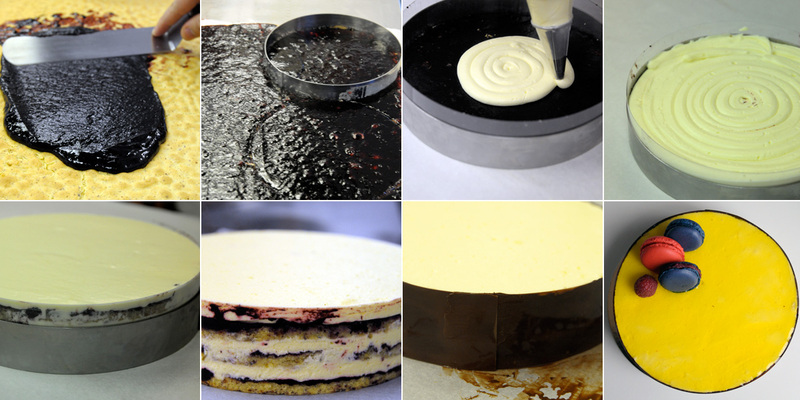 These are layers of Madeleine lime cake with a thin layer of blackcurrants puree and lemon custard. 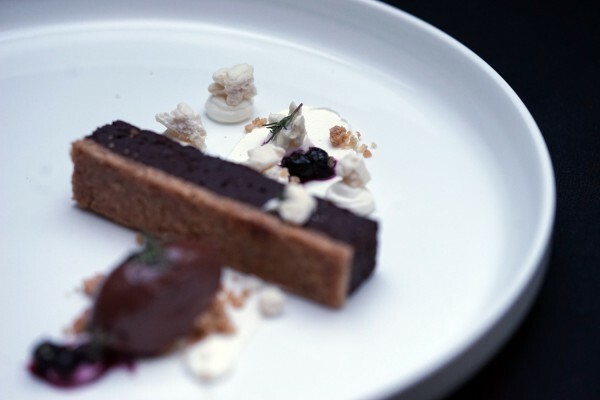 An almond croquant base, topped with a dacquoise cake, a Morello cherries coulis and an almond cream. This is the home made charlotte from scratch: lady fingers, vanilla cream, a raspberries crèmeux. 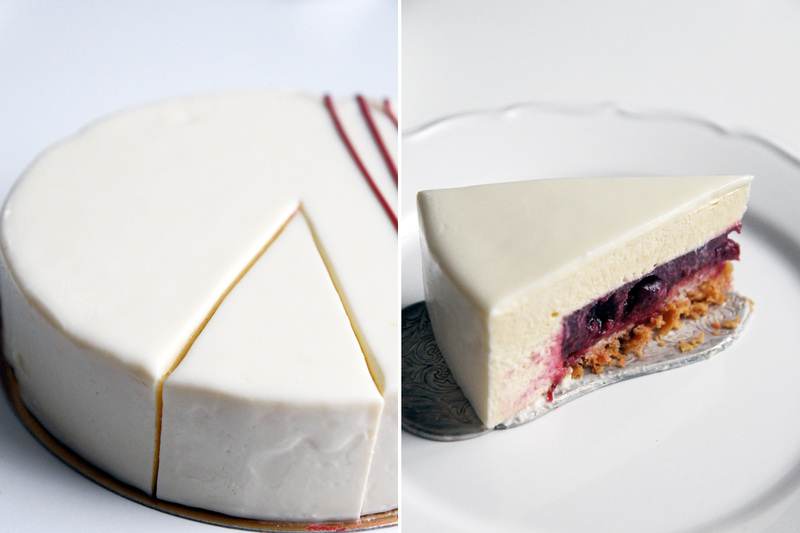 If you don’t want to make it complicated, you can simply make the vanilla cream and place fruits in the middle. Also, you can buy your lady fingers at the supermarket, but it will not look as spectacular nor taste as good, I think…But, it saves you time and is also delicious. If you go for the supermarket version, you could soak your lady fingers in a rum-sugar cane syrup (that’s what my parents do). You also may want to separate the “cartridge” lady fingers to the ring lady fingers, your oven will probably be too small to have everything on one baking sheet. 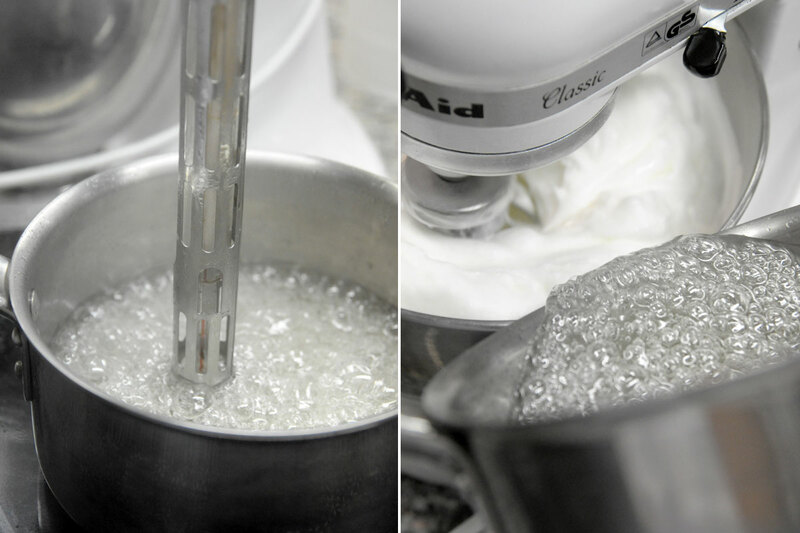 In the Kitchen Aid, whisk the egg whites until foamy. Add the sugar little by little until stiff and you can make pikes. Pour in the egg yolks, put on max. speed 2 seconds and then stop. 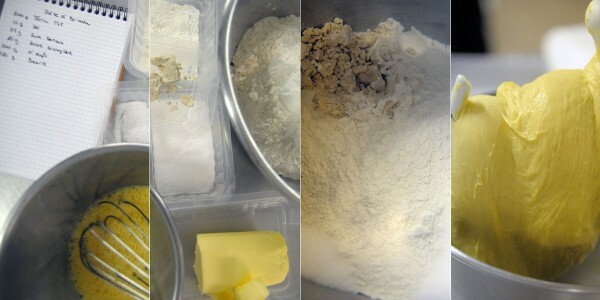 Use a spatula to gently mix the mixture, then fold in the flour. Do not overdo it otherwise the mixture will “fall”. If that’s the case, you can start again. The texture should be firm and fluffy. Make a cartridge: on a baking sheet, use a ruler to draw 2 horizontal lines, 6 cm apart and 2 circles using the 18cm ring. Transfer mixture to pastry bag and pipe out onto prepared baking sheet leaving 1-2 mm apart. 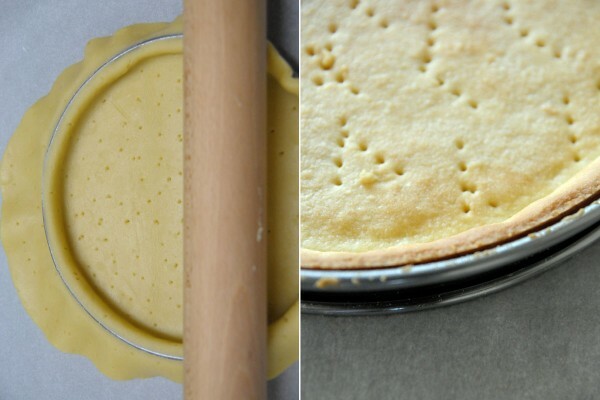 (Place another baking sheet on top to see thru the first one and pipe your lady fingers). Powder icing sugar once, then wait 1 min, and a second time. In a sauce pan melt the pulp till it simmers. 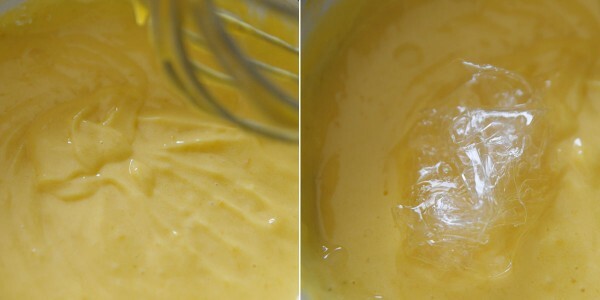 Egg yolks, half the egg and sugar in a bowl: whisk until creamy. 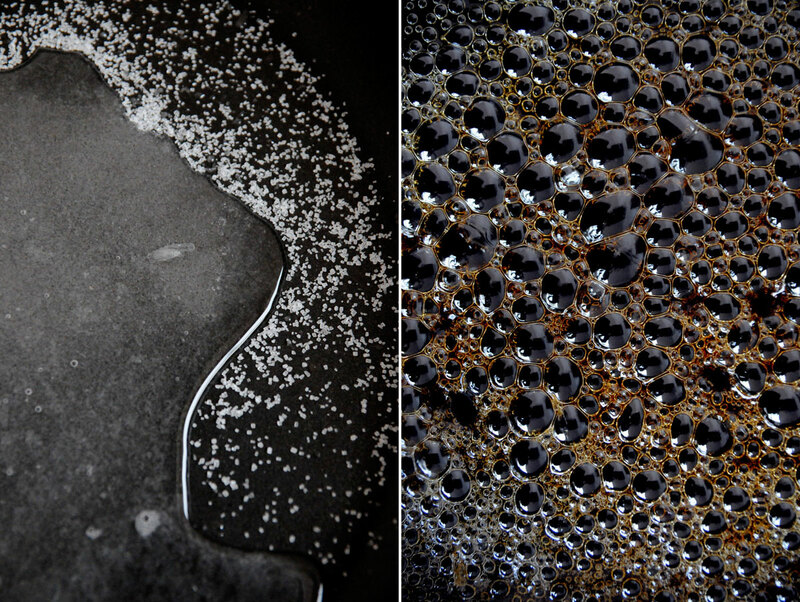 Pour half the liquid pulp onto the egg/sugar mixture, mix well and pour that in to the sauce pan. Bring it to a boil (85°C). Put aside in a bowl. Press the gelatin in your hands to get rid of the water and add to the mixture. Put aside and let cool to 35°C. 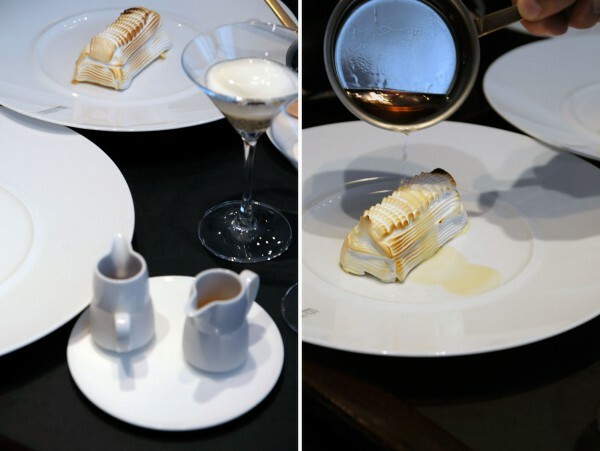 Make a creamy butter weather in the micron wave, slightly melt and then whisk, or in a water bath, same procedure. Add the butter to the mixture. 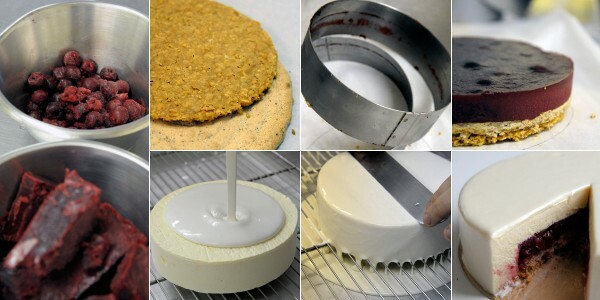 Pour into a 16cm baking ring and place in the freezer. In a sauce pan bring to a boil: the cream, milk and vanilla. 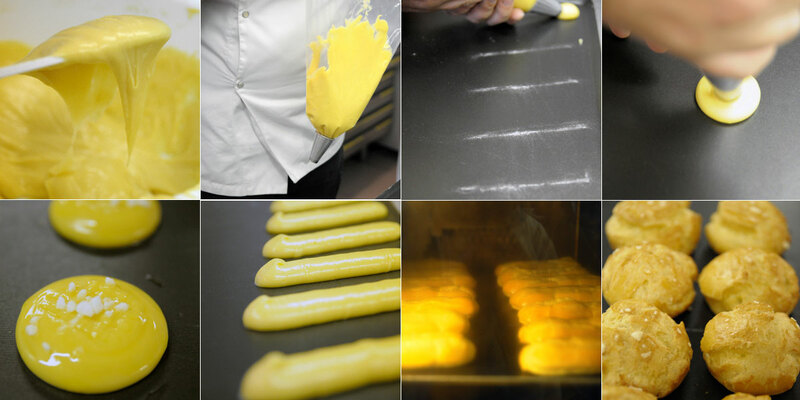 In the meantime, whisk the egg yolks with the sugar until fluffy and white. Pour half the milk/cream on the eggs/sugar, mix well. Pour it in the sauce pan with the rest of the cream. Make the mixture thicken on low heat so that the eggs do not cook. If they do, strain. Set aside in a bowl and add the gelatine after pressing out the water. Let cool until cold (25°C). You can use ice cubes in a bowl and place underneath to cool faster. 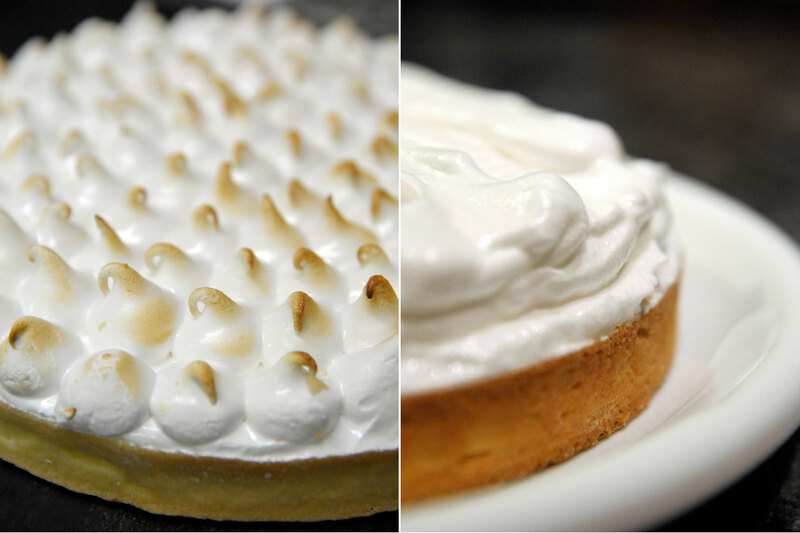 If it cools too long, the gelatine will take and it will be difficult to mix the whipped cream. Once cooled whisk the cream until it gets thicker but not too thick (fromage blanc texture). 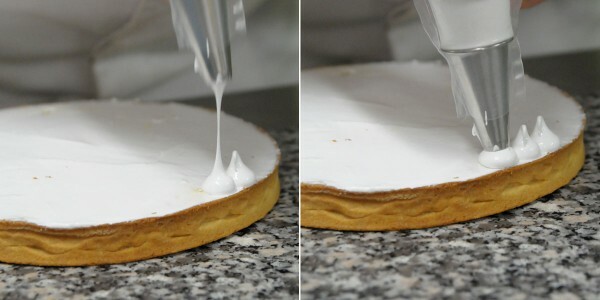 Add to the vanilla cream step by step. 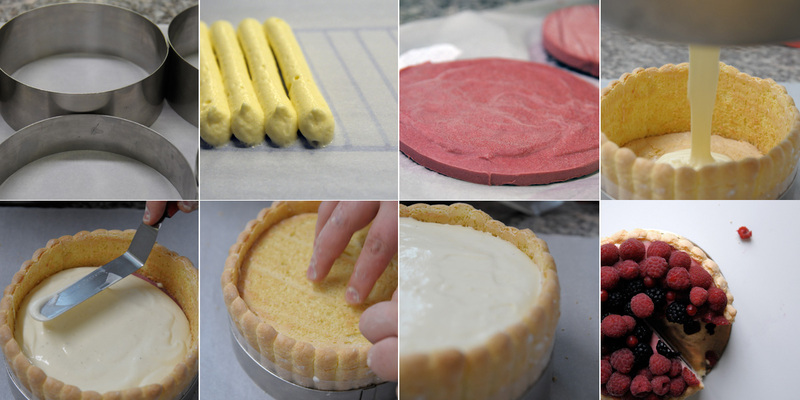 In the 18cm ring, place baking paper or Rhodoid plastic film on the edges so that the lady fingers don’t stick. Cut the most ugly part of the biscuits (top or bottom) so that one side is even. Place them carefully in the ring and cut the extremities if needed so that it fits. Take out the raspberries crèmeux. Place the bottom lady fingers circle in. 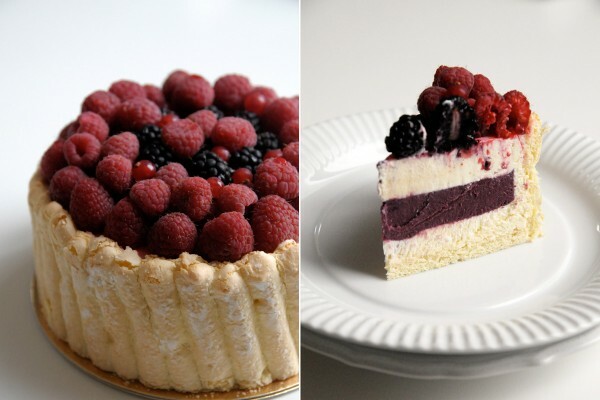 Then vanilla cream / place the raspberries crèmeux or fresh fruits/ vanilla cream / lady fingers circle / vanilla cream. Place in the fridge or freezer. Decorate before serving and enjoy!! PS: If in the freezer, make sure you take it out and place in the fridge 2 hours before serving. You can make it the day before hosting your dinner. The second week is already almost over. The first week was nice and relaxed, whereas the second one was harder and the tempo has increased drastically. We made pate à choux a couple of times, for me more than that, because even though I thought I was good at it….I had to start again twice. Same thing with the crème pâtissière, thank God we tasted it before putting it into the tarte. It wasn’t sugar we used, but salt!!! Then came the butter cream for the Moka cake (with coffee), which I also made by hand once before and it went fine. Let me tell you that when you have the pressure of not finishing last, you don’t always know what you are doing, especially something that you’ve never made that way before. We made a sweet dough, a Flan tarte, choux à la crème (whipped cream), éclairs filled with crème pâtissière and white glazing, choux with crème pâtissière and glazed with caramel, a génoise for the moka cake, 3 kinds of brioche……basically it’s been full of surprises. It can be frustrating at times, but it’s like some people feel with their kids – when the pastries look at you and smile, give back to you all the love you put into making them…..it’s wonderful and you feel fulfilled! of your hand. Stretch a corner and fold it back in the center of the circle (see pic. below). Repeat the action several times. skittle (pic.3). 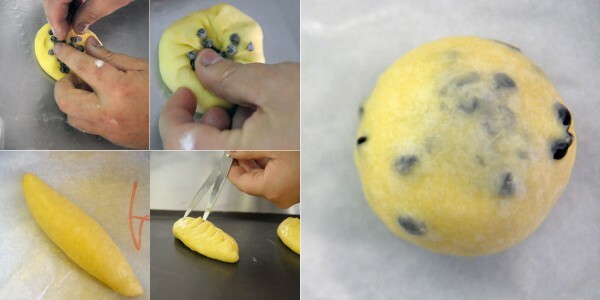 Place in brioche form and with one finger press the head down whilst turning the form. horn’s edge in flour, mark the baking tray to give you an indication of the size. Very helpful indeed! 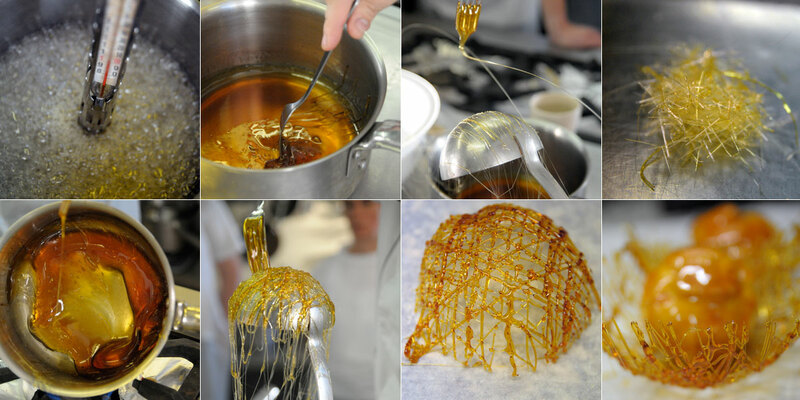 watch your hands whilst turning the choux on itself after dipping it into the caramel….HOT! Making a Moka: Génoise has to be fluffy. 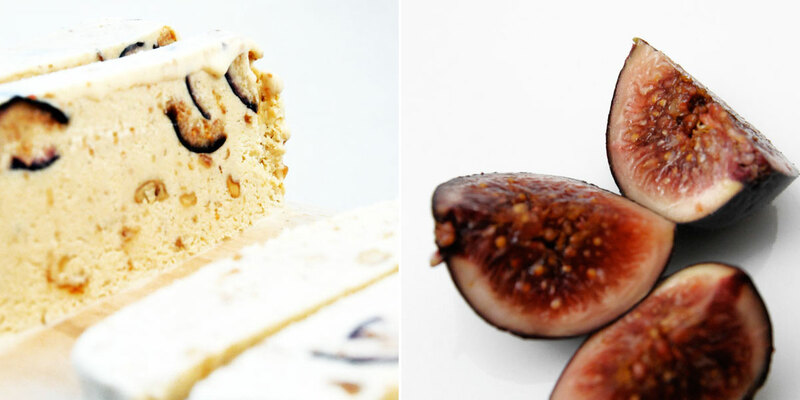 Make a butter cream and add coffee to it, keep it in the fridge. each layer with the coffee syrup and butter cream. Butter cream and almonds on the side. You can also make a writing canvas out of almond paste. I’ve been thinking of a refreshing recipe – an ice-cream using mascarpone for its creamy texture and to try something different than cream, some candied walnuts and caramelized figs. So there I am surfing on the net in search of inspiration. I combined them and slightly changed the ice-cream one. 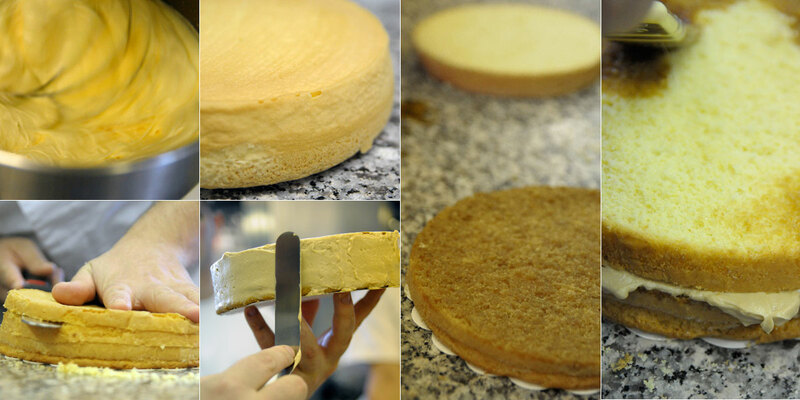 It uses 500g mascarpone. I used 250g mascarpone and 250g fromage blanc 20% (Quark in German). It isn’t difficult to make, but as it is my first time making ice-cream, and that, without an ice-cream machine, it’s taken me ages. 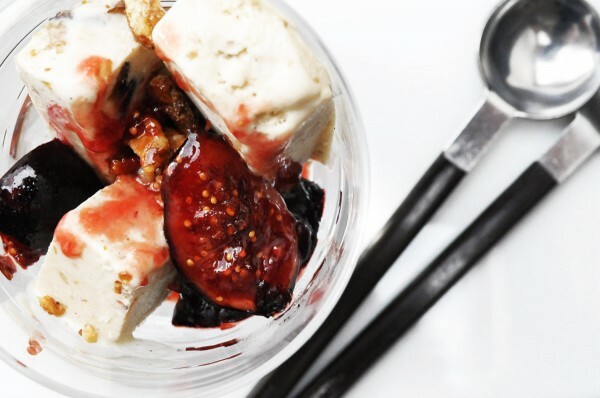 If you don’t have an ice-cream machine make sure you are at home for a few hours to ensure the stirring of the ice-cream (every 30min) during the freezing process. I also opted for a simple way to candy the walnuts. Of course you can always make a syrup, roast the walnuts and make a praline. See how much time you have. One is quick and easy, the other one, not so much! 1. 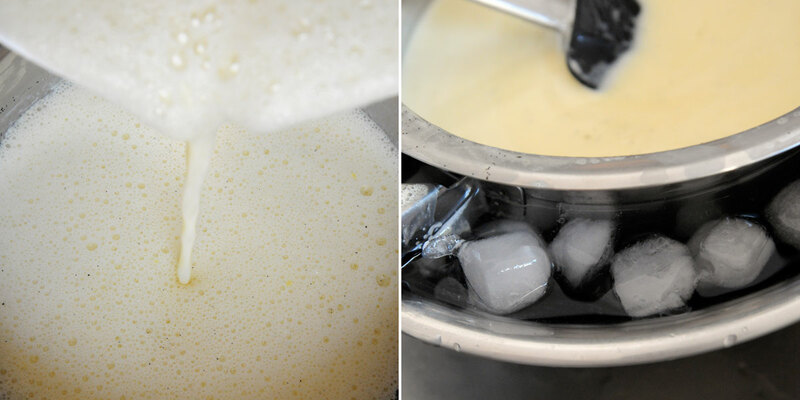 Pour milk in a sauce-pan with 2 vanilla pods. Split them in half and grate the vanilla with a knife. On low-medium heat bring to a simmer. 2. When the milk starts to simmer, take it off the heat and remove the pods. Let cool 10 min. 3. 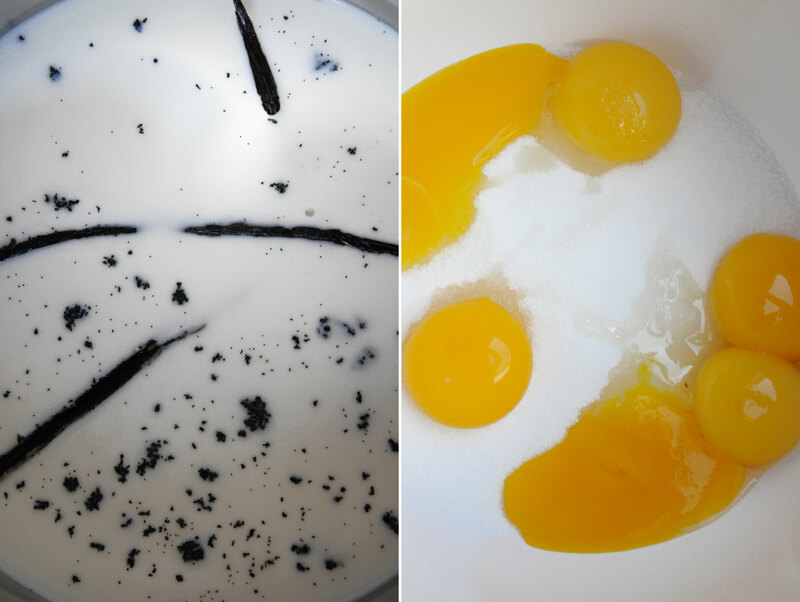 In a bowl mix the egg yolk and sugar until white and fluffy, then pour the hot milk gradually while mixing. 4. Place the mixture back in a saucepan on medium heat. Using a spatula or a wooden spoon constantly stirring, gently thicken the cream. Make sure it does not boil otherwise the eggs will cook and you’ll get scrambled eggs. When the cream coats the spoon, it’s done. 5. Let cool on a iced water-bath. 6. 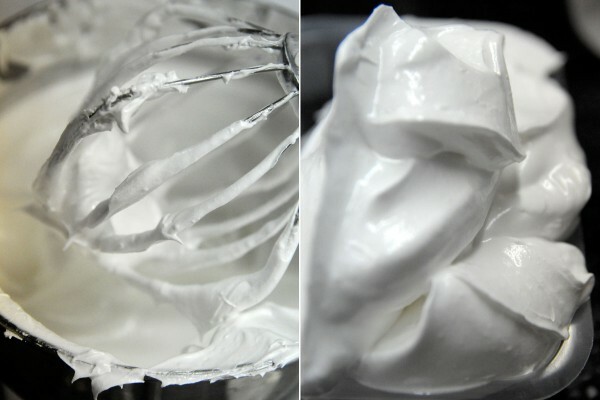 Add the mascarpone and the quark 20%, whisk until homogenous. Pour the mixture into a plastic Tupperware or a metal box and place in the freezer. 7. Wait for 30 min, stir well using a whip. Put back in the freezer. Stir the cream every 30 min for 3 hours to ensure the mixture does not crystallize. 1. 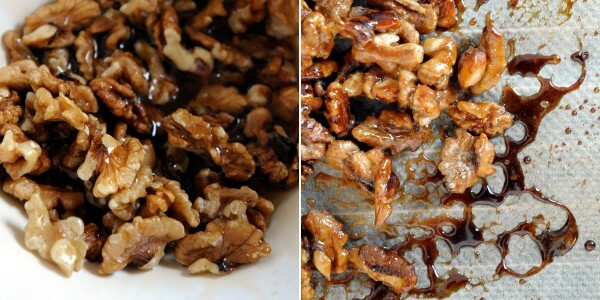 In a bowl mix the walnuts with the maple syrup. 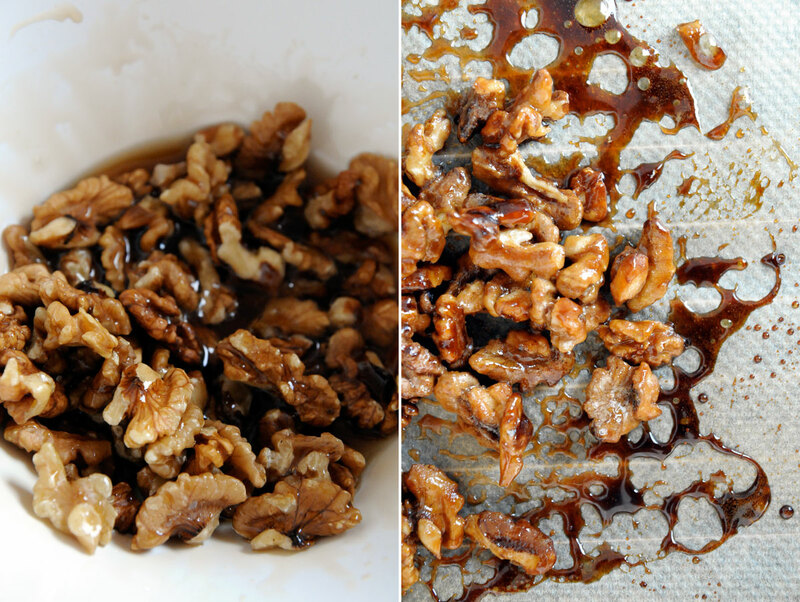 2.Place on the baking paper and bake on 200c° for 12min, stirring twice until the walnuts are brown. Then let cool. 3. Once it has cooled, crush the walnuts. 1. In a frying-pan on medium-high heat, bring 2 Tbsp sugar and the lime juice to a boil and starts getting brownish. 2. When it starts bubbling set aside. 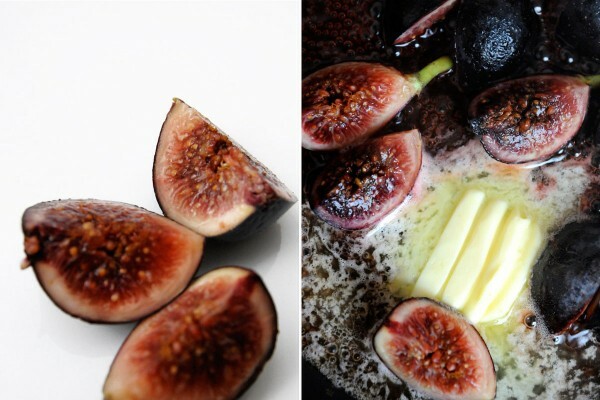 Put the figs quartered in the syrup. 3. 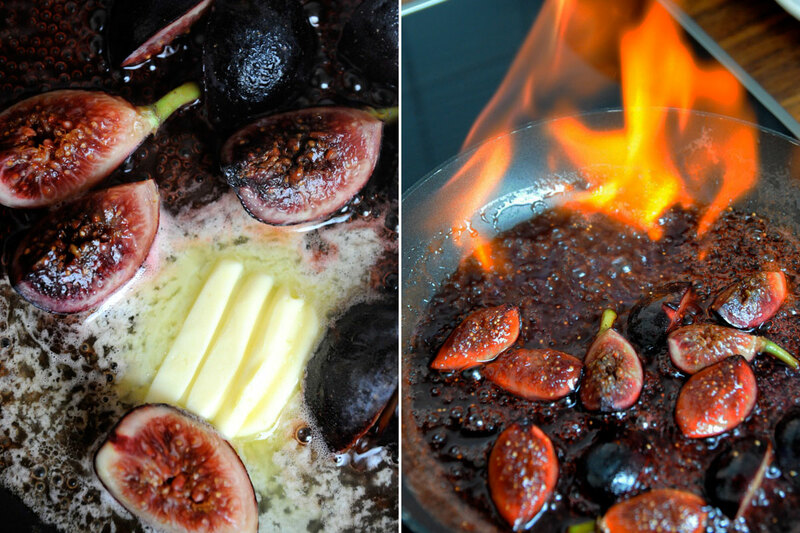 On low heat let the figs cook in the syrup. Add the butter and water, let cook further (10min). Then set aside and let them cool. 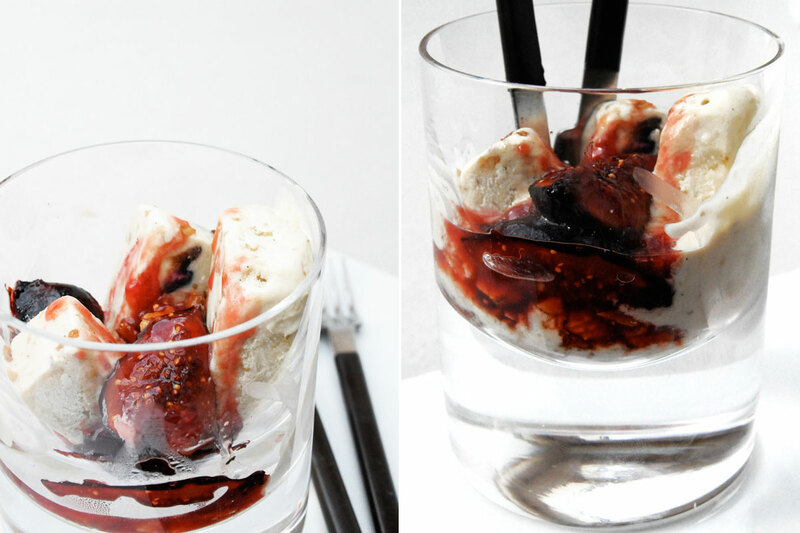 After an 1,5 hours of stirring the ice cream, it should still be creamy enough for you to stir. 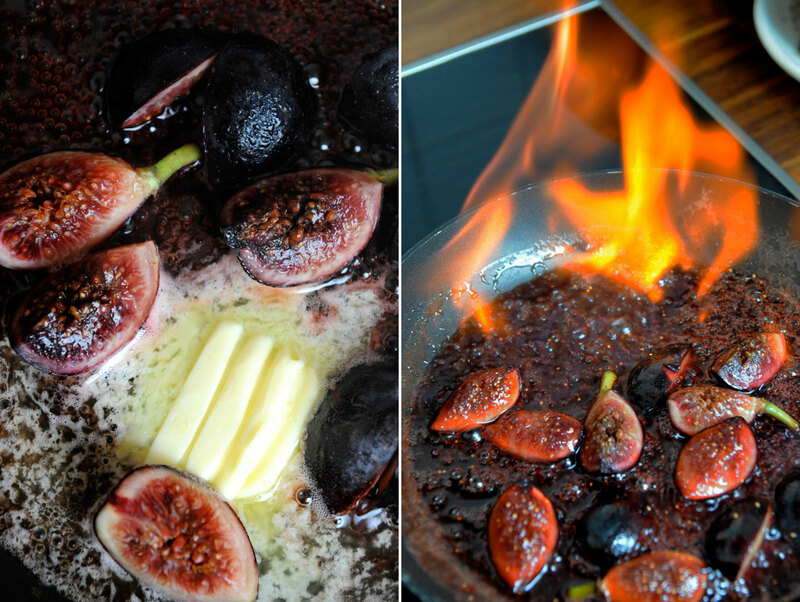 Add the figs as well as the candied walnuts. Stir well and place the dish in the freezer. You’ll have to stir a few times more before it can rest. 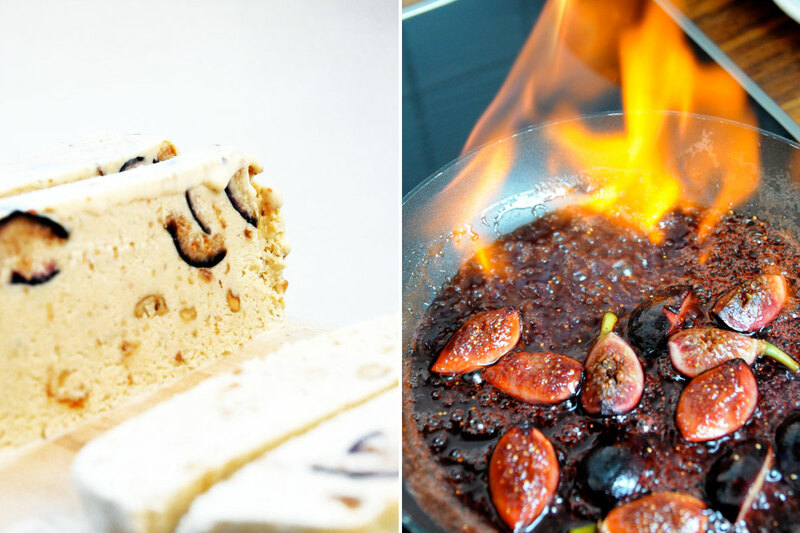 Pan-roast the figs the same way than for the ice-cream, add some rum and flambée them, sprinkle the dessert with candied walnuts, enjoy!